My venture in under 5 words is… Loving and Celebrating Jewish Marriage. What is your favorite mitzvah (good deed)? Tzedakah – No matter what I can always give a little something. The holiday that I could celebrate every day is… Secular: Thanksgiving… Jewish: Rosh Hashanah. If I were a kitchen appliance I would be… A toaster! If you were a tree, what kind of tree would you be and why? Willow Tree – They are known for their awareness, spirituality, and intuition. Yael’s venture is The Jewish Wedding Project. Her mission is to help celebrate and cherish the beginning of every Jewish family through photography and more. 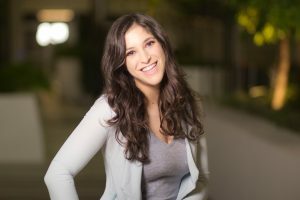 To talk to Yael about her venture, chat with her at Pitch Night!